Fairfax, VA — BARE International, the most trusted name in customer experience research shares an article from Forbes – A Customer Experience Secret, Seattle-Style: Make It Better Than It Has To Be. “These restaurants, being in one of the world’s great food-oriented tourist areas, could have gotten away with serving less creative, less high-quality food, but they chose not to. And it had served not just their customers, but the success (and happiness) of the owners as well.” Read the rest of the article HERE. From fast food to gourmet fine dining establishments, BARE customer feedback programs, like our mystery guest visits can identify the key drivers at your establishment that are encouraging customer satisfaction and revisit intent. Read more here. BARE International sets the industry standard as the largest independent provider of customer experience research, data, and analytics for companies worldwide. Founded in 1987, BARE International is a local, family-owned business with global capabilities. BARE is headquartered in the Washington, D.C. suburb of Fairfax, Virginia with nine offices around the world. On any given day, BARE International is doing business for clients in more than 149 countries, completing more than 50,000 evaluations/audits each month. 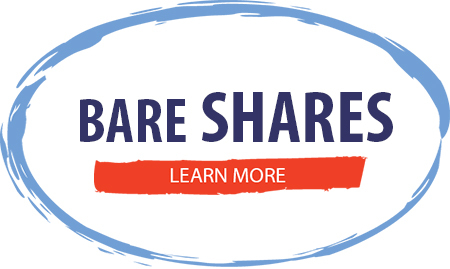 To learn more about BARE International’s customer experience research services and their dedicated evaluators, visit www.bareinternational.com. Fairfax, VA — BARE International, the most trusted name in customer experience research brings this week’s BARE FACT. Fairfax, VA — We’ve been alerted that there is a fraudulent check/money wiring scam circulating in the United States that is targeting mystery shop program providers as well as unsuspecting individuals. Reports have come to us of a “Mr. Peterson” who claims to be an employee of Bare International who contacts individuals via email and offers “mystery shop” projects at MoneyGram or Western Union locations. The victim is mailed a cashier’s check – usually for over $2500 – and is told to cash it and keep a small portion of the total as his/her “shop fee.” The victim is then instructed to proceed to a MoneyGram location and wire the remainder to a named individual while conducting an evaluation of the customer service s/he receives in doing so. The bank that cashed the cashier’s check will eventually determine the check was fraudulent after which they will hold the victim responsible for the entire amount of the check. “Mr. Peterson” does not work for BARE and is probably a criminal operating from another country where the United States has little to no jurisdiction to prosecute, however the MSPA (Mystery Shop Providers Association) has been working with authorities on the problem for some time. Please warn friends and family members that legitimate mystery shopping companies do not contact individuals out of the blue to offer them work unless they have already registered their services and – except for very specific types of shops – we do not forward funds to evaluators ahead of time. Emails from any person at BARE will always use the @bareinternational.com email address. Be aware that scammers often impersonate legitimate companies in cycles so if you receive an email or mailing from someone who claims to be an employee of ANY mystery shopping company that you have not worked with before, you should confirm its legitimacy by contacting that company through the website or phone number they have listed with the MSPA at www.mysteryshop.org. Do not use any links or phone numbers in the suspicious email to contact the company. Money-wiring scams are unfortunately very common and take many forms besides that of mystery shopping opportunities. You can learn a great deal more about them at www.fakechecks.org.